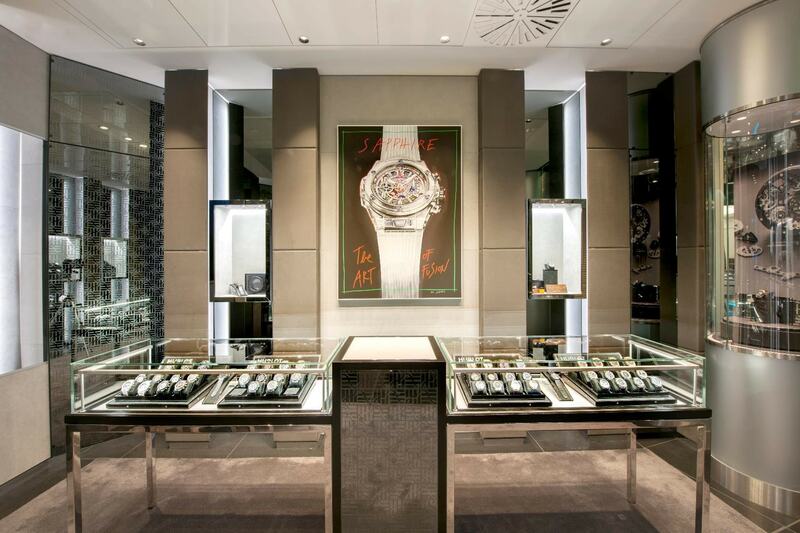 After a brand-conscious revamp, on March 16th, Swiss horologer Hublot reopened its boutique at the famed London store Harrods. 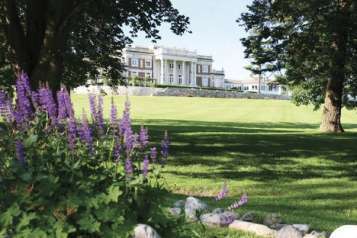 The 20sq. meter space got a luxury uplift that speaks of the label’s rise as a contemporary fine watchmaker in the last decade. 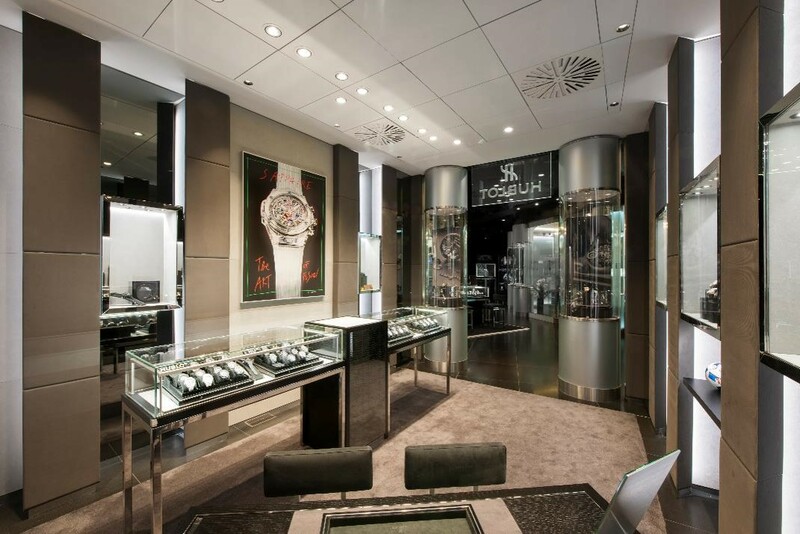 Located at the core of the coveted retail store in Knightsbridge, the re-designed brand boutique flaunts an interior of unexpected and bold material combinations that cue to the brand’s “Art of Fusion” philosophy, which meshes revered tradition with striking novelty. Rendered in black ash wood and grey alcantara, the shop assumes a futuristic ambiance that is accentuated with serigraph mirrors and a grey-carpet floor. 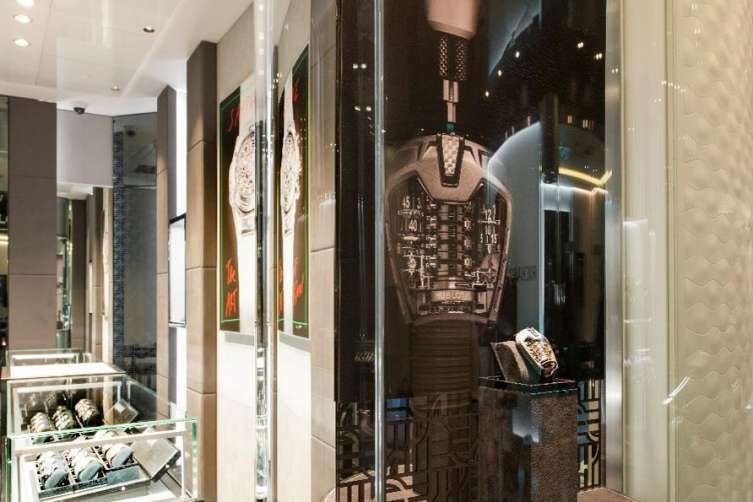 Among the shop’s most innovative features, however, is a novel lighting technique that illuminates the Hublot collections, revealing their intricate details and character. The watchmaker debuted its Harrods address in 2011. In the heart of London’s most high-end district, it carries the horologer’s most sought-after lines like the Big Bang, the All Black and the Classic Fusion. 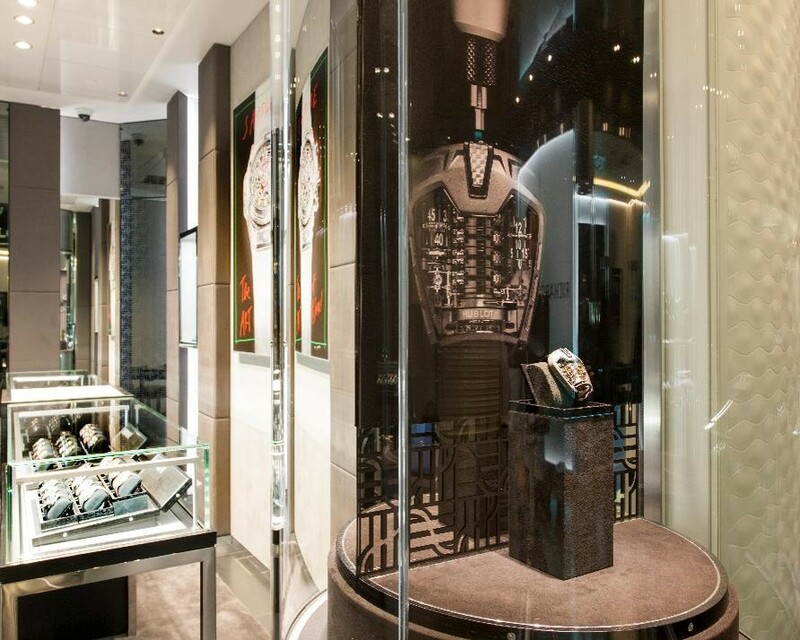 In addition, Harrods often hosts limited editions, such as the All Back concept, which marked Hublot’s 10th anniversary.